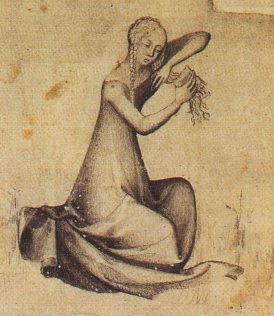 A woman combing her hair. Paris, circa 1400, from a pen and ink drawing in the Staatliche Museen, Preussischer Kulturbesitz, Kupferstichkabinett, Berlin. The spices can be found quite easily in Swedish stores, except for the galangal which I had to buy from a webshop. The watercress was the hardest thing to get a hold of – I actually had to buy seeds and grow it myself on my balcony. 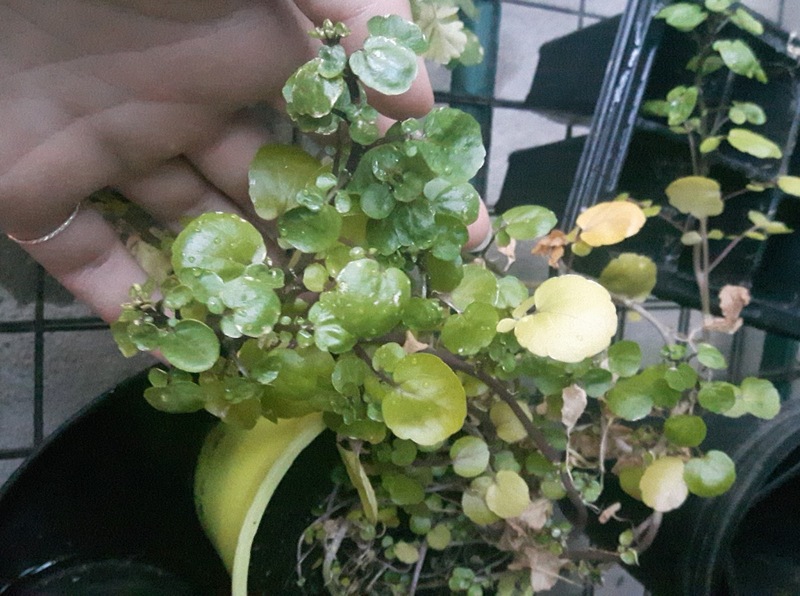 The watercress I have in my powder I grew last year, but I also have some growing right now for future use. The spices were already ground down to a fine powder when I bought them, but I had to dry and grind the roses and watercress myself. That didn’t turn out perfectly – they didn’t grind down to that fine powder I had wished for. I probably didn’t dry the leaves enough before grinding them. It still works fine when I use it in my hair, but the small bits of watercress and roses can be seen if you looks closely. I use it as you would use a modern day dry-shampoo that isn’t in a spray bottle, parting the hair and sprinkling some of the powder, and then repeating the process in different parts. Then I massage the powder into the hair, and then sprinkling rose water all over the hair – both at the roots and over the lenghts. After this I comb through the hair and then it’s ready to be made into beautiful and/or funny hairstyles. 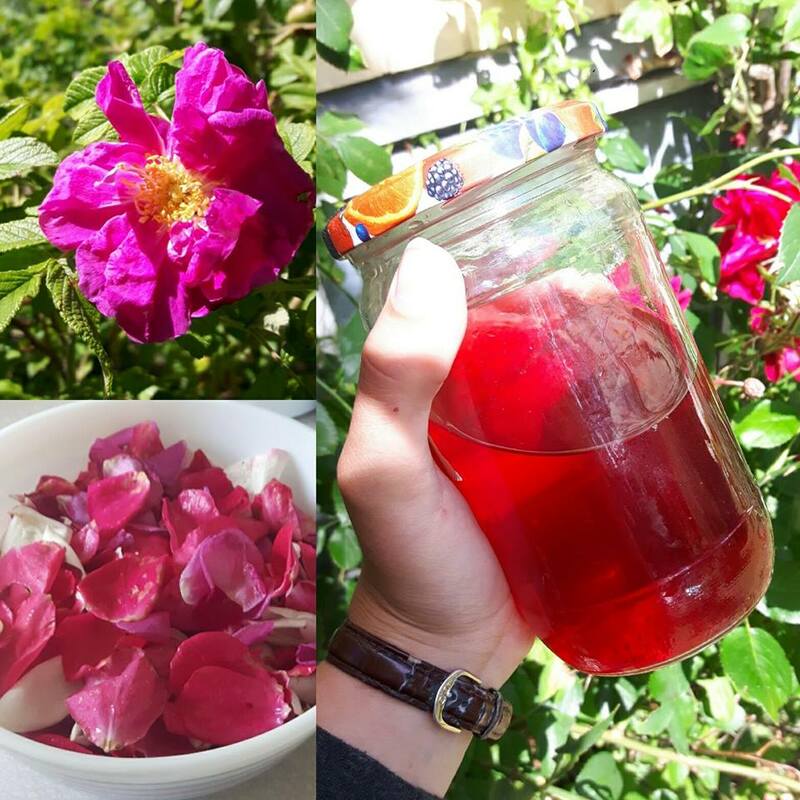 When I got back to Sweden after visiting Middelaldercentret I felt very inspired and made my own rose water. As far as I’ve understood, actual rose water is derived from distilling rose petals, whereas mine was made by pouring boiling water over the petals and letting it sit for 24 hours and then straining it. It turned out fine, with a lovely colour and scent. 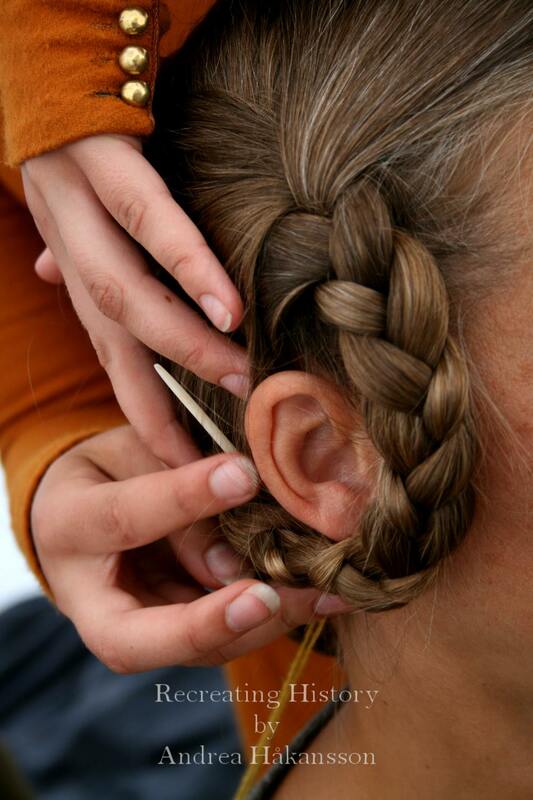 To end this short post – here is a way to get smooth and soft hair. I have a loong hair, this info will be just good! I have never heard about Trotula of Salerno before, even on History University! En blogg om mitt favoritmaterial ull och min nyfunna kärlek till stickning.